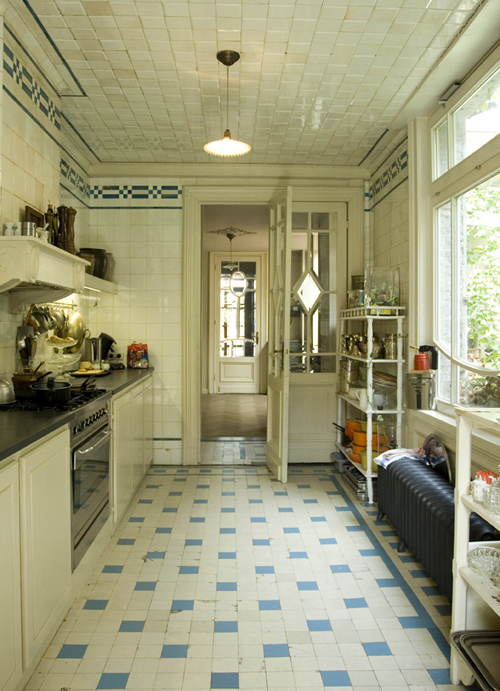 Bed & Breakfast Boulevard Leopold is situated in the Jewish quarter of Antwerp, Belgium. The beautiful building is dating from 1890 and it has always been respected by its (previous) owners. The house has been adapted to modern comforts without loosing its character. All of its original moldings, parquet floors, and tiles are still in place. The B&B has three beautifully decorated rooms, all with a different atmosphere. There are also apartments for rent, which is perfect if you plan to stay longer or if you need more space. Visit Boulevard Leopold website for more information about rates and reservations. Looks beautiful and individual – I love all these cute B&B. Another B&B in Brussels: http://www.enchambresenville.be – by Philippe Guilmin – a recommendabel address. This is a bed and breakfast? If ever I’m in Antwerp, I will definitely be staying here. Lovely! 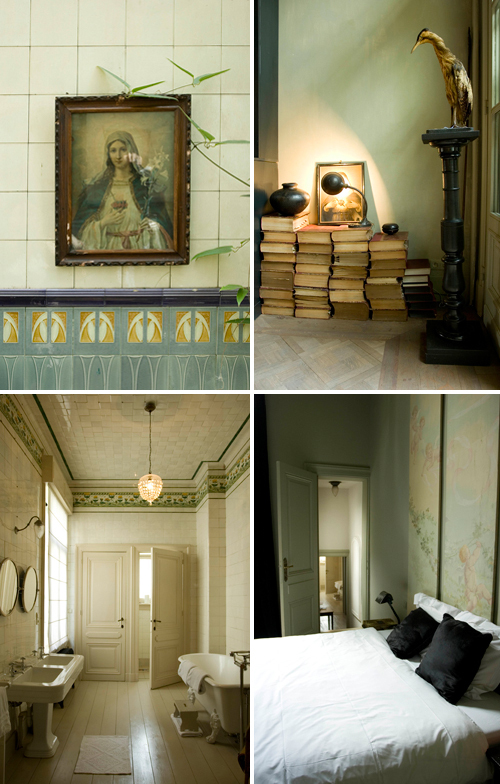 LOVE the Art Nouveau tiles- swoon! so refreshingly different. Thanks for posting these wonderful photos. It looks gorgeous! Would love to visit Antwerp one day…it looks like such a creative place! loved it. Really spectacular place. 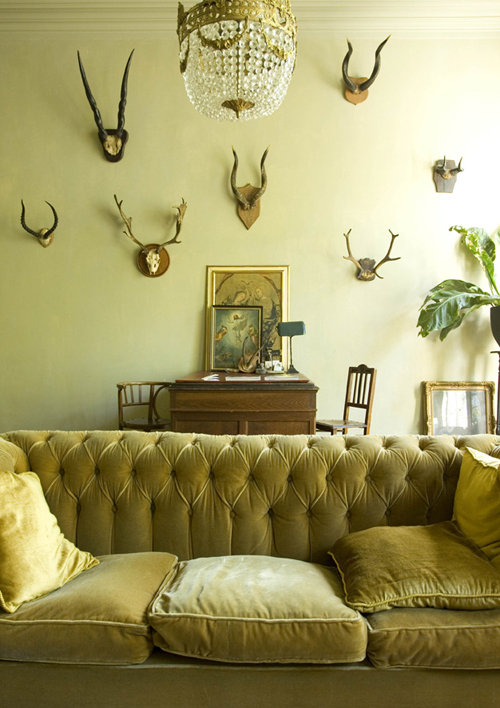 Love the chandeliers and the deer heads and that boheme luxury, it has.